Cast: Imran Khan, Kangana Ranaut, Vivan Bhatena. 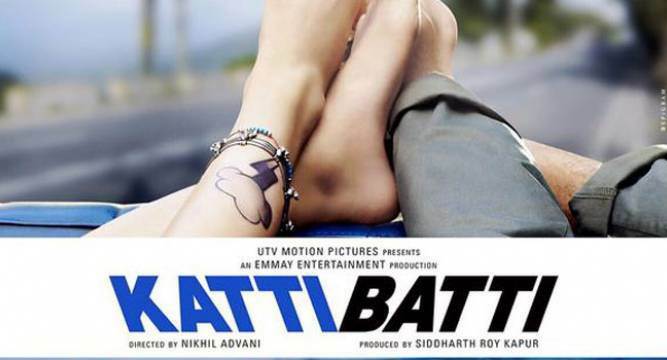 Katti Batti was promoted as a movie that was not a love story and after its theatrical release on 18th Sep 2015, the movie has been dubbed as having no story. Starring Imran Khan, Kangana Ranut and Vivan Bhatena in the lead roles, the movie is a confusing roller-coaster ride that keeps shifting between the past and the present with such rapidity that the difference between the two becomes blurred. Directed by Nikhil Advani, the film neither has a proper story line nor a proper buildup of characters to make even slightly interesting. Maddy (Imran Khan), is deeply distraught after the break-up with his five year long live-in relationship girlfriend Payal (Kangana Ranaut), the free spirited girl from Delhi. He end up in the hospital after having accidentally drunk the floor cleaner, and his friends considering this to be a failed suicide attempt, try to convince him and make him accept the fact that Payal has moved on in life. He then comes to know about Payal’s impending marriage with Ricky (Vivan Bhatena), a rich Delhi brat, who also turns out to be her ex-boyfriend. Maddy lands up in Delhi seeking to seek answers about why Payal broke up with him and did she even love him ever. Weather Madav meets Payal and if so does he get the answers to his questions, is what forms rest of the story. Even though the trailers of Katti Batti promised a rom-com with a tragic twist, the movie does not match the expectations. The lead pair of Imran and Kangana has done a brilliant job, but even they fall prey to the lack of proper characterization and a poorly written script. Overall this move is nothing more than a mixture of various scenes taken from different romantic movies IndiaCafe24 gives Katti Batti a rating of 2 stars. TOPICS Imran KhanKangana RanautKatti BattiNikhil AdvaniVivan Bhatena.